There is no doubt that medical professionals across the spectrum make mistakes each and every day, with a recent study published in the Journal of Patient Safety asserting that some 440,000 patients die annually from preventable harm in hospitals. However, Boston medical malpractice lawyers recognize that not every health care mistake will form a strong enough basis for a lawsuit. Even proof of a serious error won’t go far if the claimant can’t clearly show how he or she suffered as a result of that mistake. Of course, no lawyer can guarantee you a courtroom win, but one with experience should be able to give you a fairly accurate projection based on the facts of your case. One of the things we will analyze closely is the extent to which the medical error proximately caused you harm. We will be looking at the extra time you spent in the hospital, your lost wages from additional time off work, the physical, financial and emotional burden your illness or condition placed on your family, the cost of ongoing treatments or medication and whether the condition is permanent or will require follow-up well into the future. The case of Laurel v. Prince reveals how a case can be derailed when these kinds of factors aren’t carefully weighed at the outset. Here, there is no question that the defendants made a serious error in patient care. It was also well-established that the mistake defied acceptable care standards for professionals of their position and that the oversight could have led to major, lifelong consequences for the patient. The problem was, the patient failed to show that the error had any significant impact on her, aside from emotional distress upon learning of the possible consequences. According to Alabama Supreme Court records, the patient arrived at the facility to undergo a routine procedure to have her gallbladder removed. Just prior to the surgery, the nurse injected the patient with a drug she believed to be Zofran, which helps quell nausea. However, the drug was actually something else entirely. It wasn’t until the patient’s breathing became labored that doctors learned that the drug administered was actually Zemuron, a paralytic. 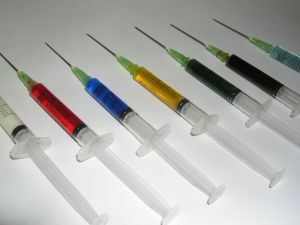 Not only that, but the syringe used to deliver the drug had been used on the previous patient. It turned out that a series of miscommunications had led to not only the wrong drug being administered, but also the use of a contaminated needle. The patient recovered from the effects of the paralytic with little issue. The claimant had to be tested repeatedly for Hepatitis C, HIV and other infections that might have been passed intravenously, though results for all of those tests came back negative. She subsequently filed a medical malpractice claim for negligence against the health care employer, doctors and other staffers. A summary judgment was granted to the defendants, and the plaintiff appealed. The question certified to the Alabama Supreme Court was whether that state law permitted the recovery of damages for an injury that hasn’t occurred and where there is undisputed evidence that no injury is likely to occur in the future. The court answered no. Plaintiffs have the burden of proof in these cases to show through substantial evidence that not only did the health care provider breach the standard of care, but that also a proximate injury. The health care provider had already given her follow-up testing for free. Was it fair that she had to continue to undergo testing as the result of the health care providers’ negligence? No. However, successful medical malpractice claims generally require more than that. If you aren’t sure whether the injury you sustained as a result of a health care provider error rises to the level of a medical malpractice claim, have your case reviewed by an experienced injury lawyer. To file a Boston medical malpractice lawsuit, call the Law Offices of Jeffrey S. Glassman for a free and confidential appointment — 1-888-367-2900.